There’s something about the home studios of artists — painters, sculptors, composers — that conjures the strange magic of creative work. As a traveler, I find myself visiting the homes of lots of dead people. Some are over the top (Louis XIV’s Versailles near Paris); some are haunting (Anne Frank’s house in Amsterdam); others inspire you to write a poem (William Wordsworth’s Dove Cottage in England’s Lake District). Many of my favorites are the home studios of artists — painters, sculptors, composers. There’s something about these special places that conjures the strange magic of creative work. Luckily for travelers, many have become museums that welcome visitors. Perhaps the most high profile of Europe’s home studios is Claude Monet’s. The spiritual father of Impressionism, Monet spent 40 years cultivating his garden and his art at Giverny, 50 miles northwest of Paris. Monet’s actual sky-lighted studio is now a gift shop, but the artist’s real workspace was his 5-acre garden. A master of color, Monet treated his garden like a canvas, choosing and planting his peonies, irises and lavender bushes for maximum effect. In turn, the flower beds inspired some of his most iconic artworks. He often painted “en plein air” — outside — sometimes on a footbridge that overlooked a Japanese-style pond choked with his precious water lilies. Strolling the pathways here is like witnessing an Impressionist painting come to life. The concept of the artist’s studio got its start in the Renaissance, when established masters maintained art workshops and taught apprentices. When Florence’s city fathers started building a new cathedral in 1296, they founded the “Opera del Duomo,” or Cathedral Workshop, where the sculptures for the church and its bell tower were crafted (“opera” is the Italian word for “work”). Renaissance greats, such as Brunelleschi (who designed the cathedral’s dome) and the sculptor Donatello, put in time there. Remarkably, the “opera” continues today within steps of the landmark cathedral, on the appropriately named Via dello Studio. Through the open doorway, you’ll see today’s masters sculpting replacement statues and restoring old ones to keep the cathedral’s art in good repair. 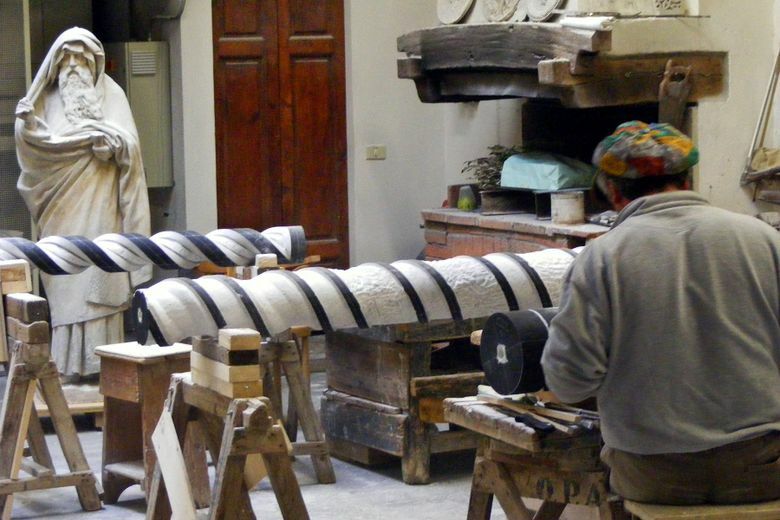 Over time, the typical studio became less a communal workshop and more a place of solo industry and reflection. 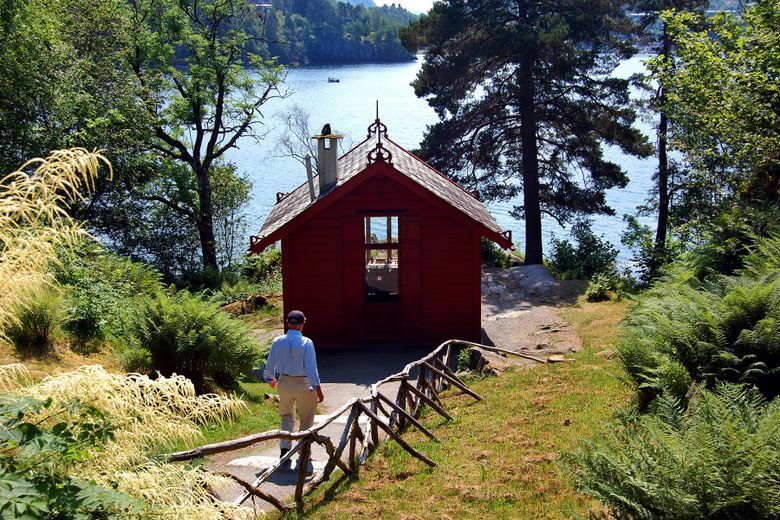 Norway’s greatest composer, Edvard Grieg, maintained just such a classic artist’s retreat. He spent his last 22 summers, until 1907, at the Victorian-style home he called Troldhaugen, just outside Bergen. Quiet, lush and secluded, the dreamy setting was ideal for soaking up inspirational fjord beauty. But the house was often bursting with family and friends. To counteract the constant hubbub, Grieg built a simple, one-room studio at the water’s edge, and every day he would lock himself inside to be sure he’d get something done. The cabin had everything he needed, and no more: an upright piano, a desk overlooking the water and a couch for naps. Gazing at his rustic desk, his little piano and the dramatic fjord scenery out the window, you can understand how Grieg’s music so powerfully evokes the natural wonder of Norway. Artists as long ago as Rembrandt figured out that the studio could double as a sales room. When his career took off in Golden Age Amsterdam, the great Dutch painter moved to an expensive home with a well-lighted studio. He would paint his famous “Night Watch” here, among many other masterpieces. Perhaps the most original home studio I’ve toured is Salvador Dalí’s place near Cadaqués, Spain. As a kid, Dalí spent summers in this sleepy port, and the eccentric artist came back years later with his wife, Gala. Together, they built a labyrinthine compound that climbs up a hill overlooking the Mediterranean. Like Dalí’s art, his home is offbeat, provocative and fun. The eccentric ambience, inside and out, was perfect for a Surrealist hanging out with his creative playmate and muse. This place, and his partnership with Gala, became so important to Dalí that when she died in 1982, he moved away and never returned (he died in 1989). But everything has been kept more or less as Dalí left it, from playfully stuffed animals and mustachioed paintings to the couple’s phallic-shaped swimming pool, the scene of orgiastic parties. In his studio, with its big windows drinking in light from the sea and sky, he painted for eight hours a day (he had cleverly innovated an easel that could be raised and lowered so he could staying seated while painting). Dalí lived large, but he worked hard, too. Whether you’re indulging in a fantasy in Dalí-land or floating serenely above Monet’s water lilies, a trip to an artist’s home studio can be a memorable highlight of any trip to Europe.